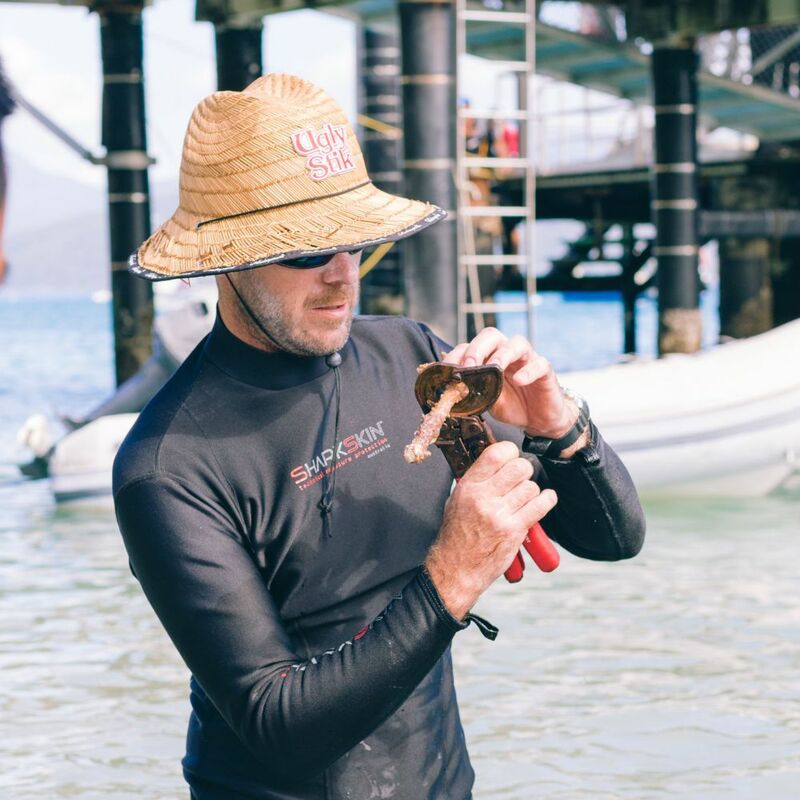 The reef restoration process mimics natural processes and involves experienced members of our team taking a small amount of cuttings from healthy corals that have survived the 2016 and 2017 bleaching events. 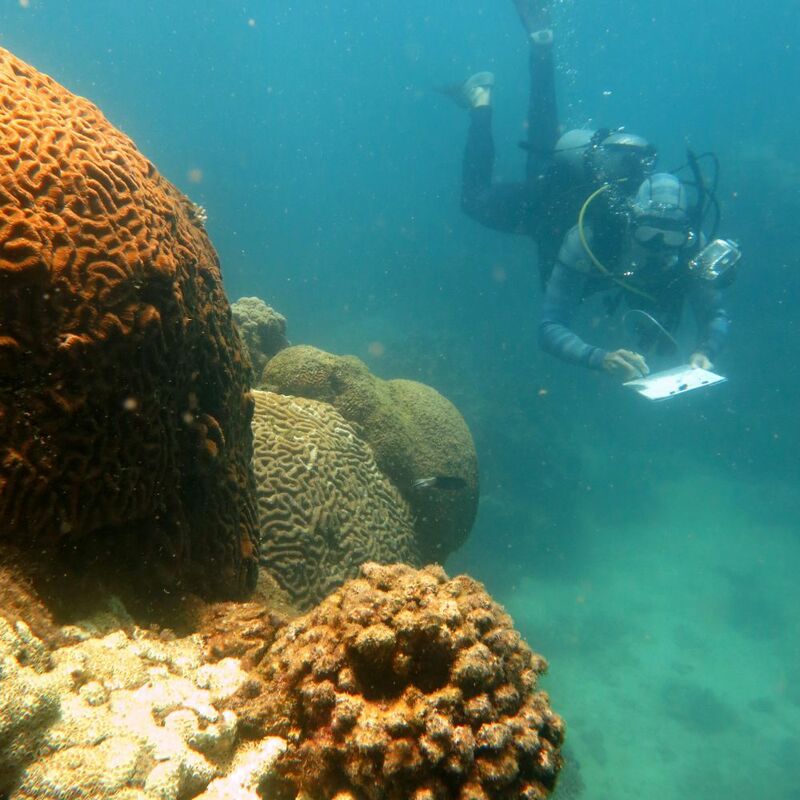 These corals should be naturally more resilient to higher water temperatures and coral bleaching. 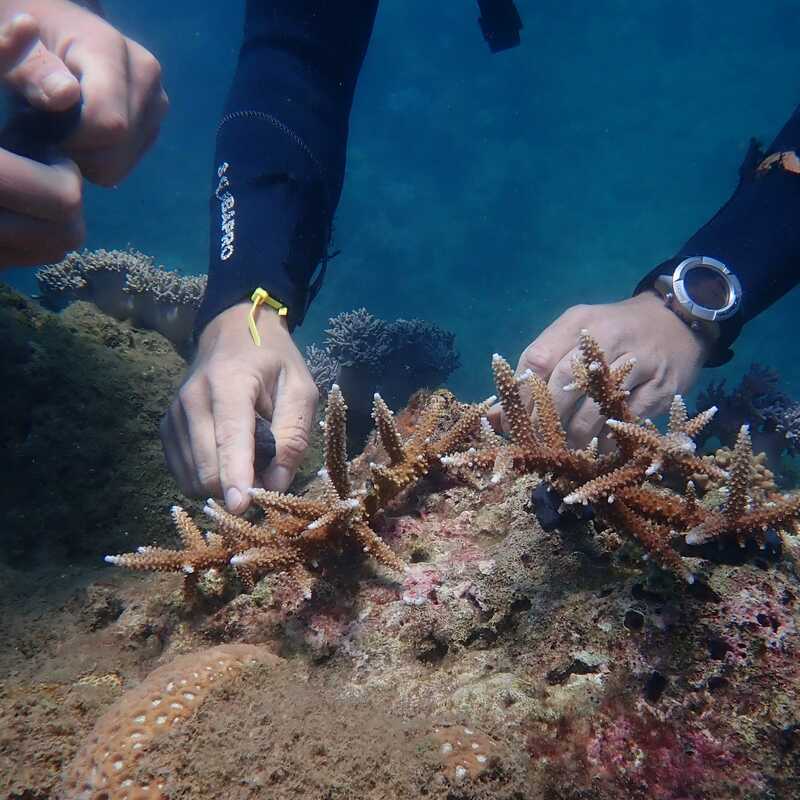 The corals are collected and cut into mother colonies and coral fragments, approximately 5-15cm long. 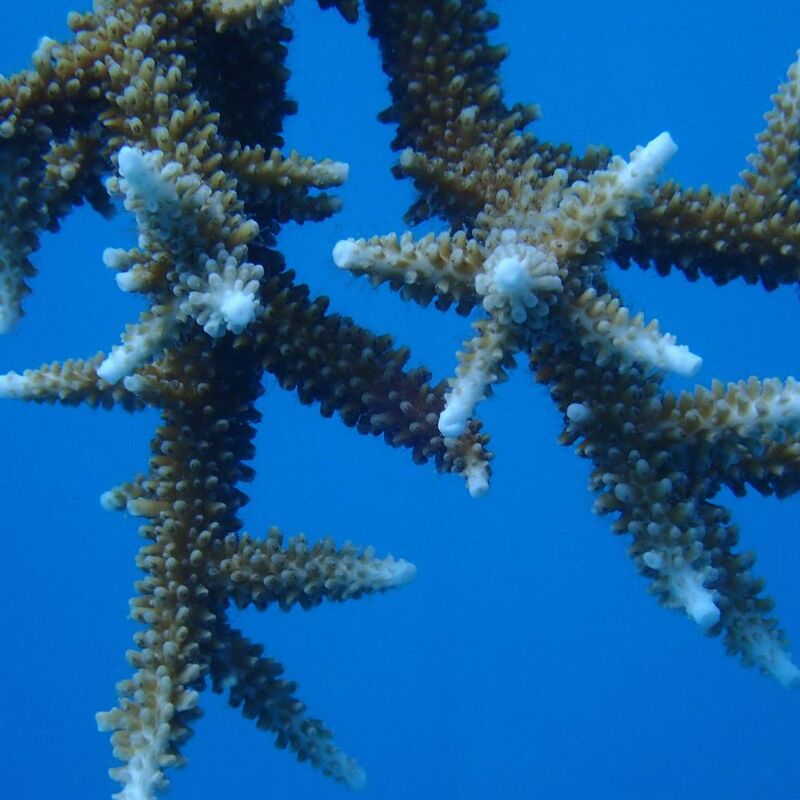 Mother colonies are source colonies for future tree propagation. 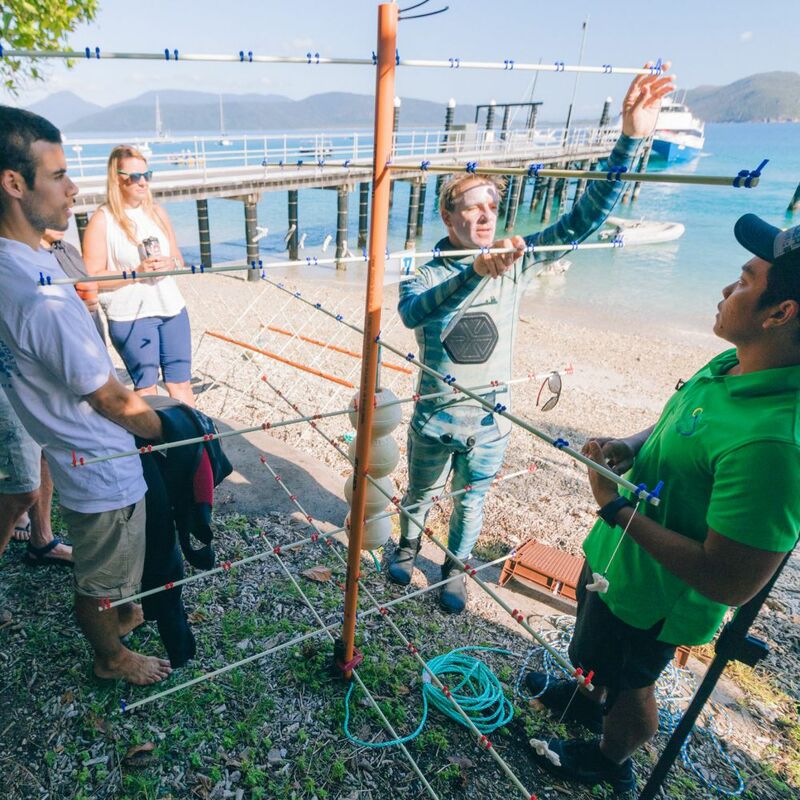 The mother colonies and coral fragments are attached to the coral tree frames in an ocean-based nursery adjacent to a damaged reef. 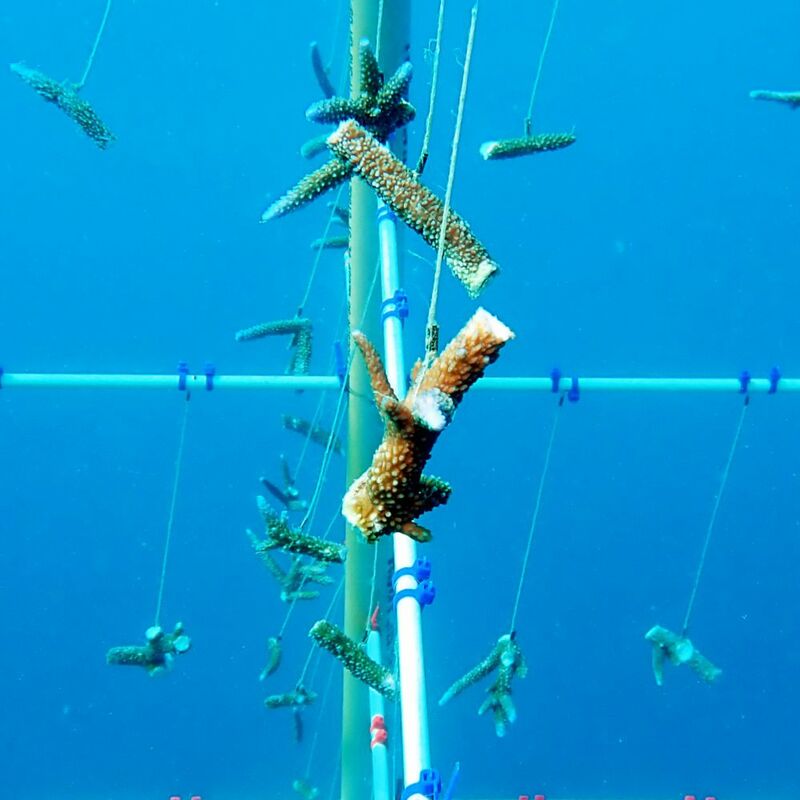 The frames accelerate the growth of the corals which are checked every 7-10 days to ensure there are no signs of disease. 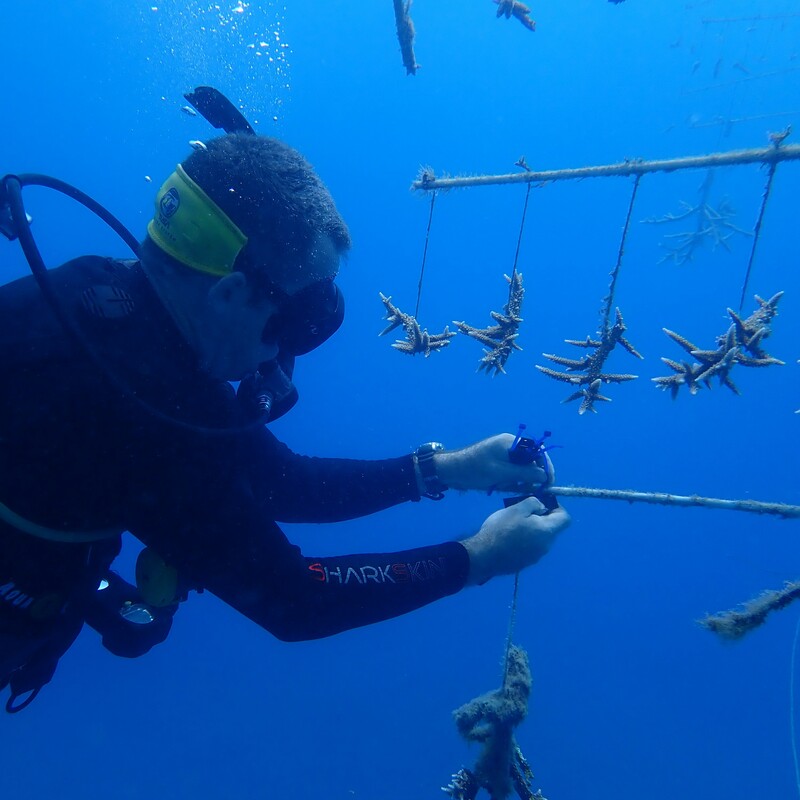 The coral tree frames are cleaned and the corals are regularly measured. 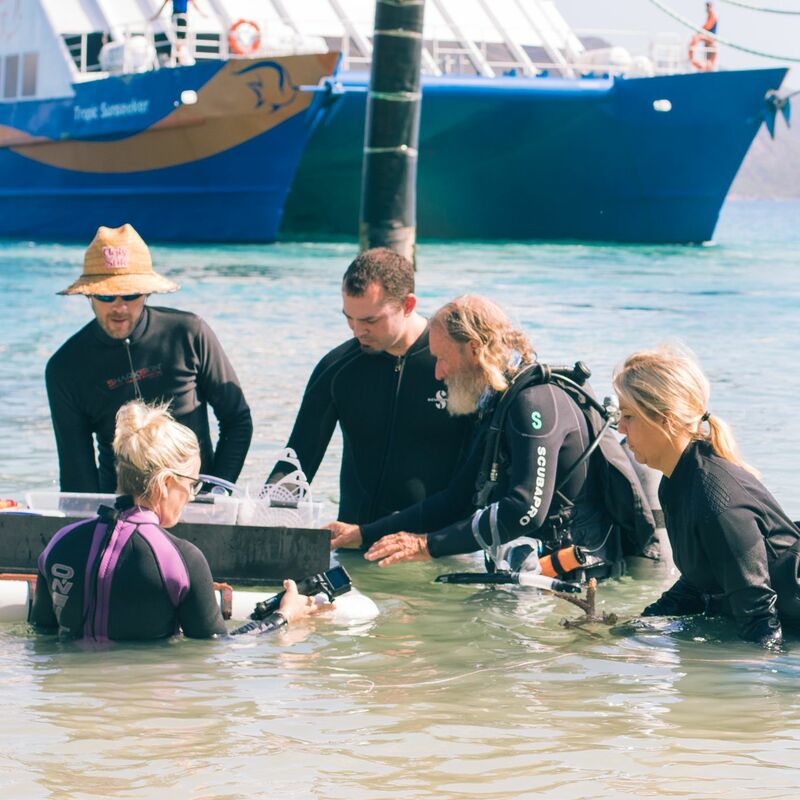 After 6-12 months of growth, the fragments are attached back to a reef to regenerate damaged sections of the reef and strengthen resilience. 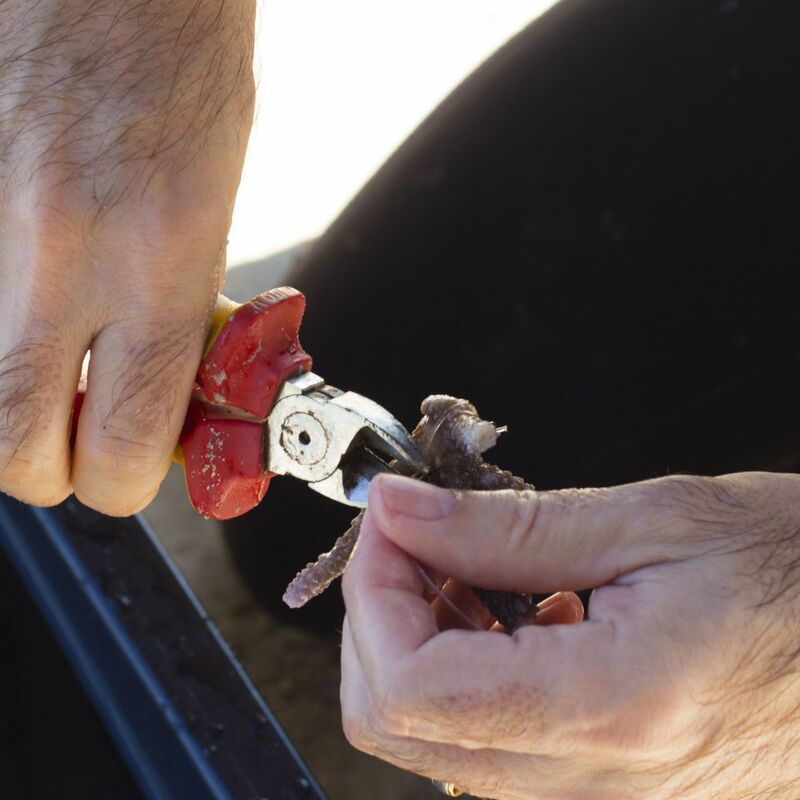 The coral tree frames are then re-stocked with coral fragments that are cut from the mother colonies. 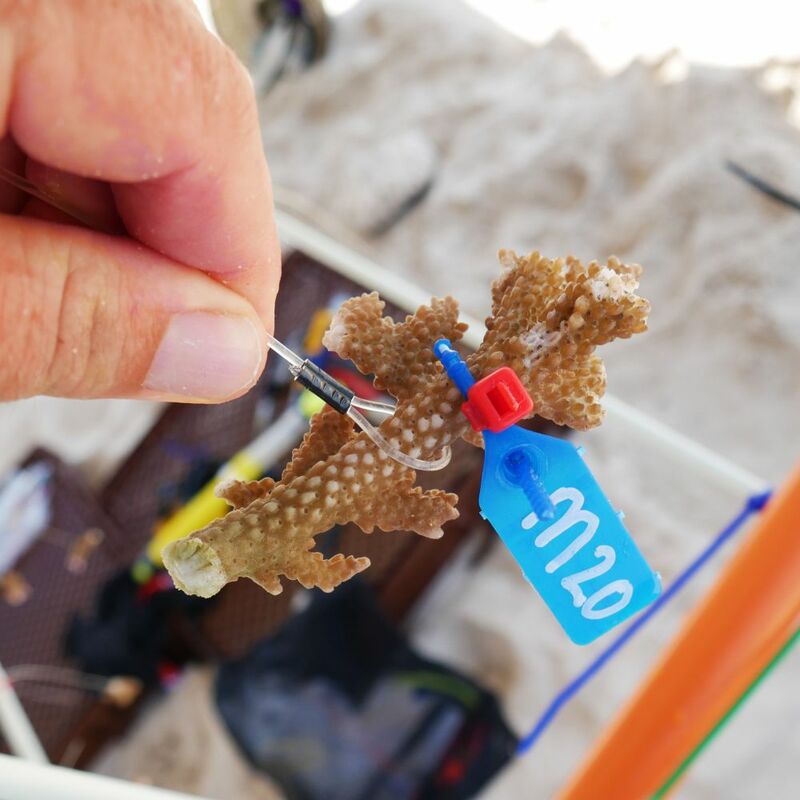 From one small cutting we can potentially create thousands of new and hardier corals. 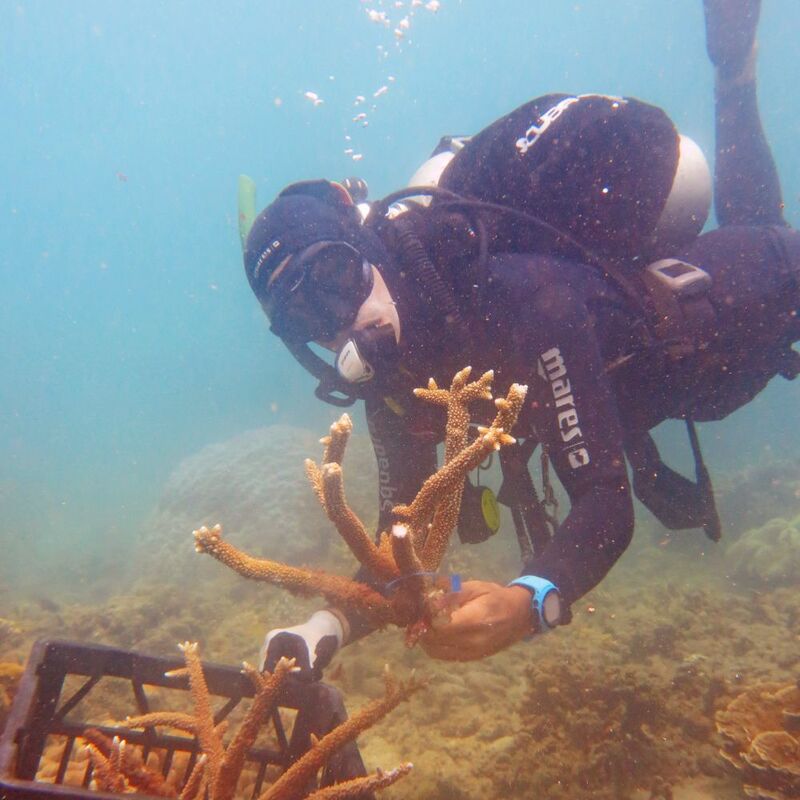 These corals will regrow and the process will become a continuous cycle allowing thousands of new corals to be created from the initial coral cutting. 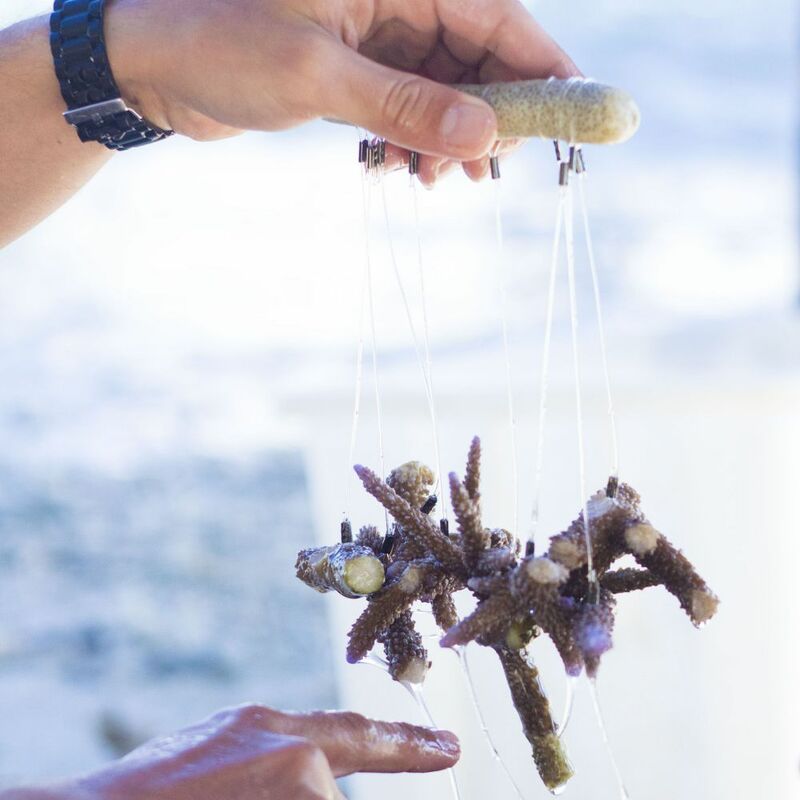 The process is very similar to taking cuttings from plants to grow new plants and provides a sustainable source of corals. 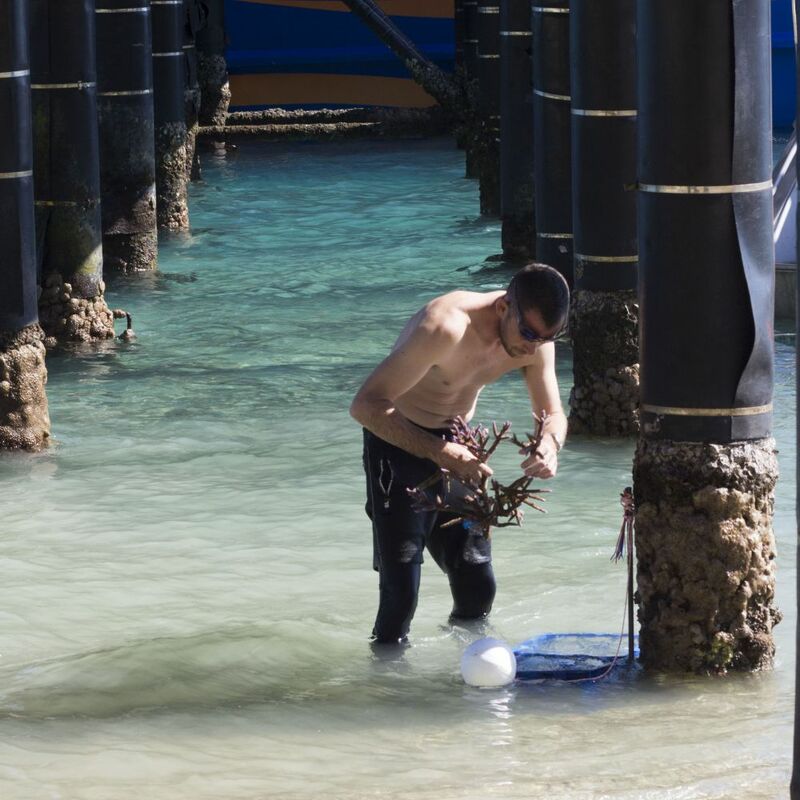 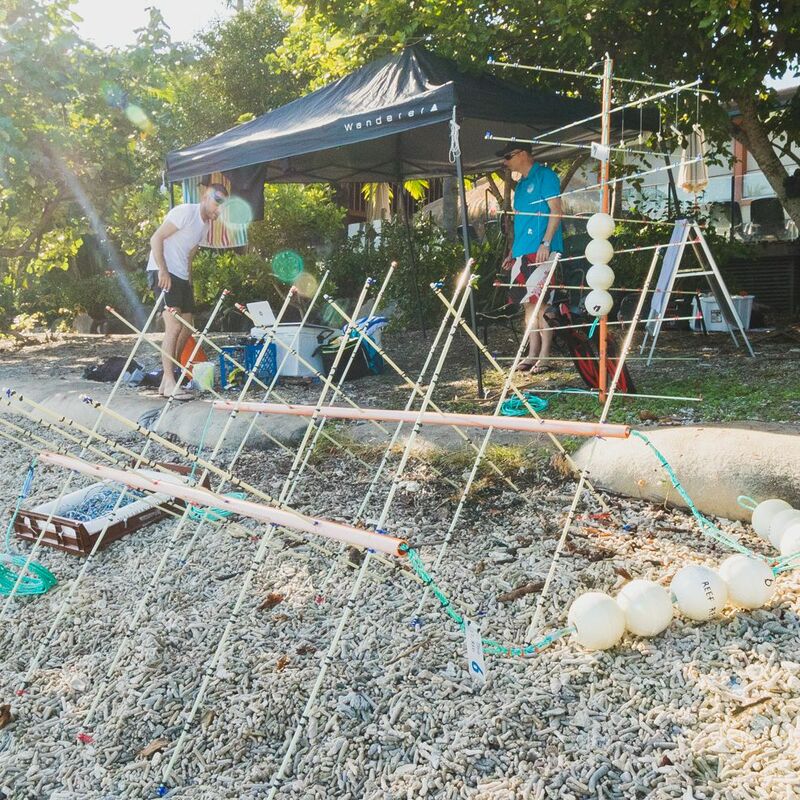 The first coral cuttings, which were collected in December 2017 for the Fitzroy Island nursery, were ready for transplanting after just eight months. 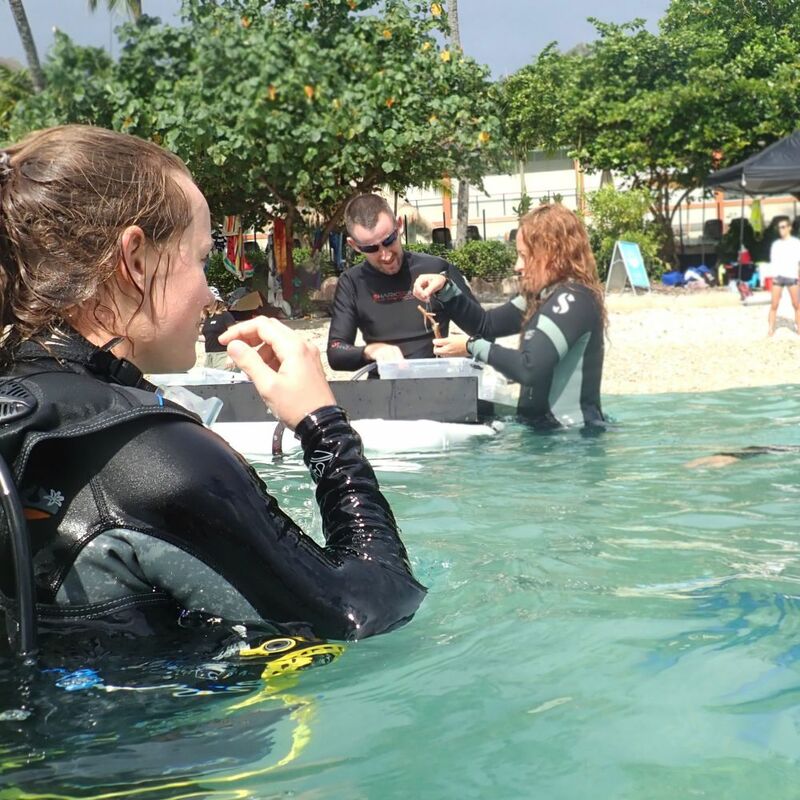 This first crop of corals exceeded expectations, with some increasing in size by 2.5 times. 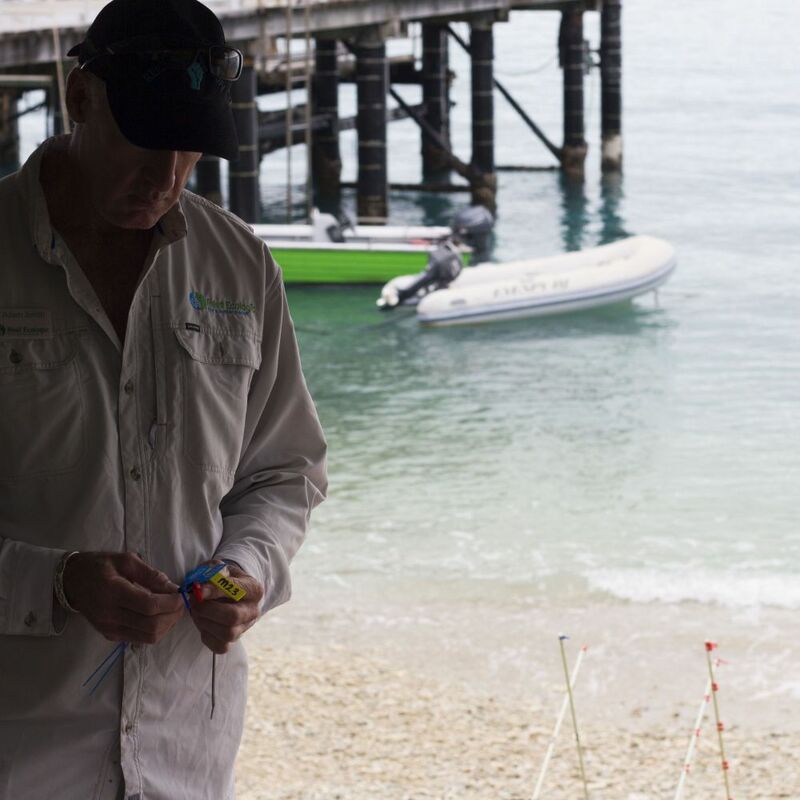 Nine out of 10 corals survived and grew into 246 new coral colonies from the 24 pieces of coral initially harvested from the fringing reef at Fitzroy Island. 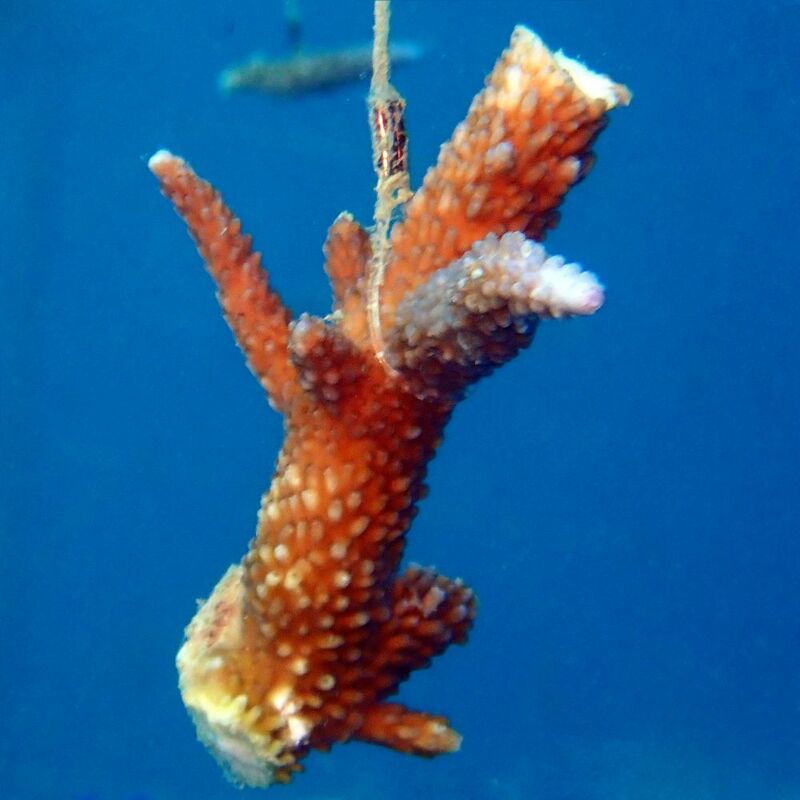 In July 2018 we installed an additional four coral trees, bringing the total to 10, and collected more corals. 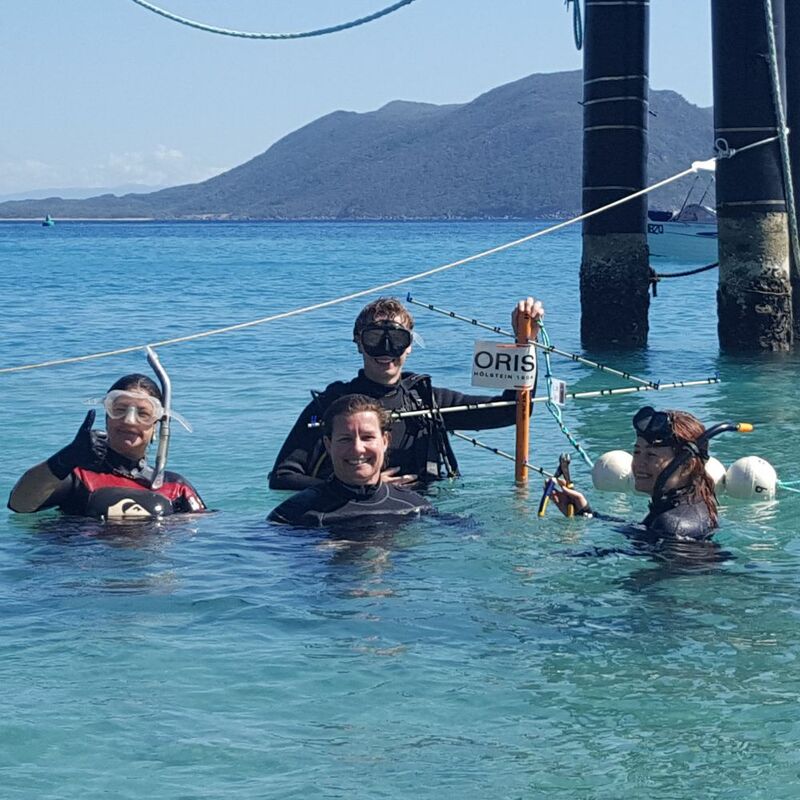 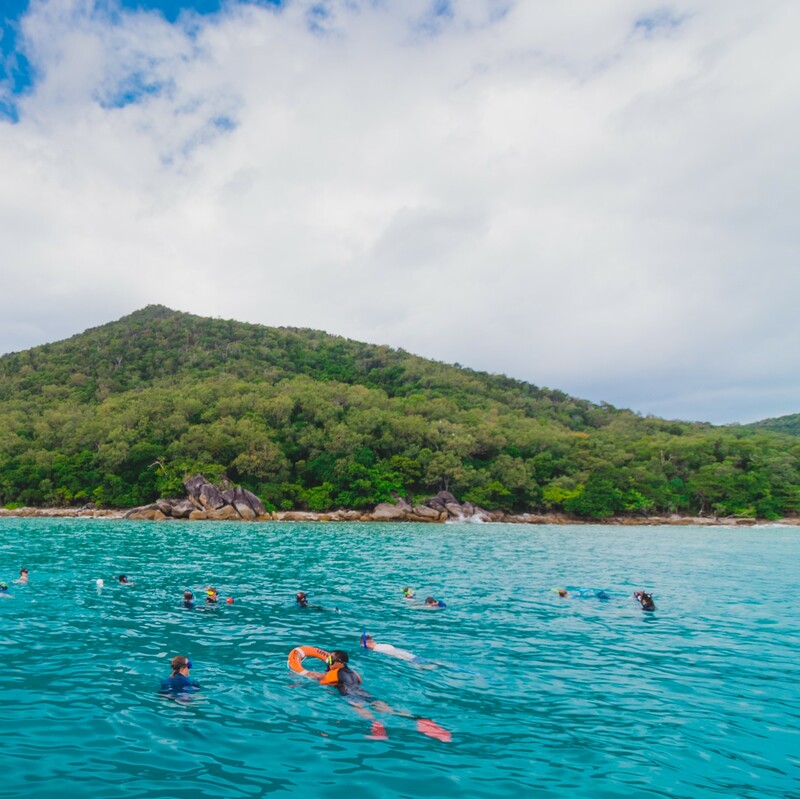 There are approximately 650 corals growing in the Fitzroy Island nursery. 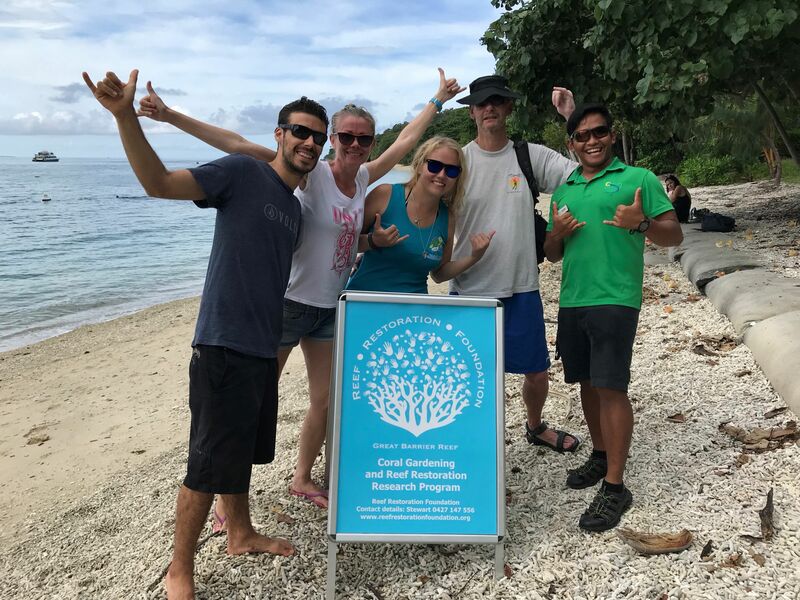 In August 2018 we attached 100 of these new coral colonies on damaged sections of coral reef at Fitzroy Island and retained the remainder to grow more coral. 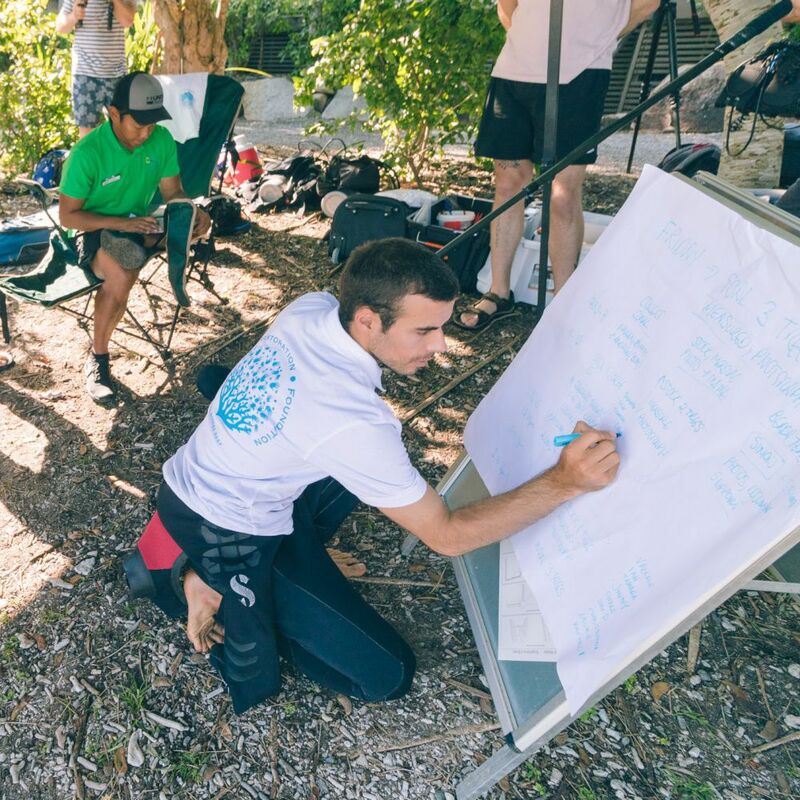 Our work is being supported and monitored by James Cook University’s TropWATER and Reef Ecologic with the support of funding from the Australian Government’s National Environmental Science Program.